Quick easy booking, and the guide was very informative and even showed us some sites not part of the itinerary. Highly recommended! 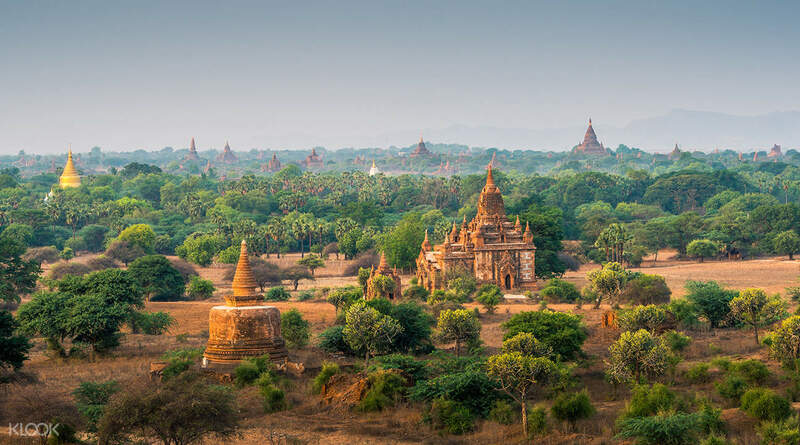 The rich cultural heritage in Bagan will fascinate travelers who are interested in immersing themselves in the history and culture of Myanmar. The tour begins with a pick up right from your hotel in Bagan where you will first be brought to explore six iconic monuments: Shwezigon Pagoda, Ananda Temple, Dhammayangyi Temple, Htilominlo Temple, Thatbyinnyu Temple and Shwesandaw Pagoda. In each temple you'll get to know more about the history and culture of Bagan. Stop by for lunch at your own expense, then visit the splendid Manuha Temple, one of the oldest temples of the area. Next stop on the tour is a trip to the Myazedi Pagoda, which dates back to the Mon style of 1059. With this is a glimpse into the Gubyaukgyi Temple in Myinkaba, once a residence of the king of Manuha. Before heading back to the hotel in the evening, make your last stop at the Hindu Nanpaya Temple, which is the first cave style pagoda in Bagan. Buddhist Temples, pagodas and religious sites are sacred places of worship in Myanmar. Be mindful in your choice of outfit! It was an amazing experience. 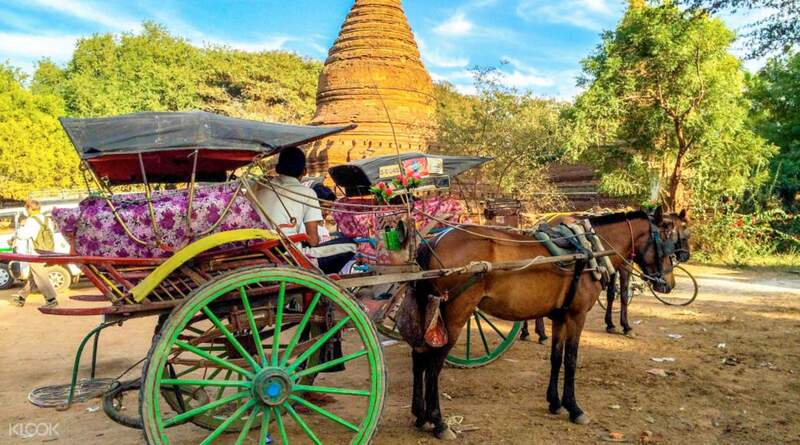 You’ll know more about the history of Bagan with this tour. Our guide, Khant 🌟🌟🌟🌟🌟he knows everything in Bagan and he was also a great photographer. Just didn’t like the Village tour, they’re selling local products in triple prices and asking for money. But still, highly recommend this tour. It was an amazing experience. You’ll know more about the history of Bagan with this tour. Our guide, Khant 🌟🌟🌟🌟🌟he knows everything in Bagan and he was also a great photographer. Just didn’t like the Village tour, they’re selling local products in triple prices and asking for money. But still, highly recommend this tour. Khant was our guide. He was very humorous and informative. He spoke great English and knew many local anecdotes. The 1-day tour was remarkable and we were able to fit in horse cart riding and local handicraft workshop into the schedule. Khant was our guide. He was very humorous and informative. He spoke great English and knew many local anecdotes. The 1-day tour was remarkable and we were able to fit in horse cart riding and local handicraft workshop into the schedule. AMAZING!!!! My guide was perfect!!!! And the driver was beyond respectful!! They helped me plan an amazing day of temple viewing and great food!!! 5 stars!!!!! AMAZING!!!! My guide was perfect!!!! And the driver was beyond respectful!! They helped me plan an amazing day of temple viewing and great food!!! 5 stars!!!!! Amazing tour with flexible and knowledgeable tour guide and funny driver. If was a good choice to go with the car instead of tuk tuk or horse cart because it is so hot. Temples are beautiful and full of history. Amazing tour with flexible and knowledgeable tour guide and funny driver. If was a good choice to go with the car instead of tuk tuk or horse cart because it is so hot. Temples are beautiful and full of history. It was very nice, easy going and extremely personalized tour with a history alumni tour guide 😲 He was too nice. Even he took us to local market and explained everything we see. He knew everything about the area. Where to took best photos, where to watch sunset and sun rise.. Beyond expectations. It was very nice, easy going and extremely personalized tour with a history alumni tour guide 😲 He was too nice. Even he took us to local market and explained everything we see. He knew everything about the area. Where to took best photos, where to watch sunset and sun rise.. Beyond expectations. Beautiful Bagan, that’s all we can say after this trip! You’ll learn more about the history of Myanmar with this tour! Our tour guide is also very helpful with telling us stories about the temples as well as the Burmese belief of the different days each person is born and all about the cosmetology. Beautiful Bagan, that’s all we can say after this trip! You’ll learn more about the history of Myanmar with this tour! Our tour guide is also very helpful with telling us stories about the temples as well as the Burmese belief of the different days each person is born and all about the cosmetology. Very good guide, car and driver. 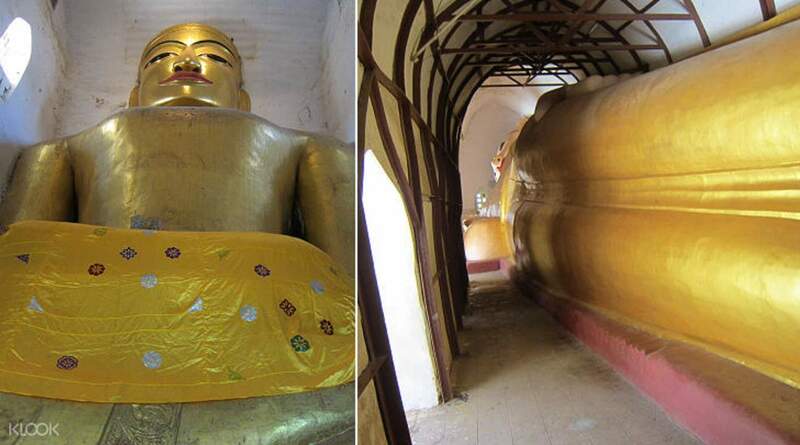 This day tour enables to see the highlights of Bagan with interesting information provided by the guide. I would definitely recommend it. Very good guide, car and driver. This day tour enables to see the highlights of Bagan with interesting information provided by the guide. I would definitely recommend it. Love this experience. Visit many pagodas. Although they looked the same, the stories narrated by the tour guide made them very interesting. Love this experience. Visit many pagodas. Although they looked the same, the stories narrated by the tour guide made them very interesting. We booked this tour for 2 days. Tour guide Mr Tel was very accomodating. He brought us to different temples, local village, market and sunset boat tour (Not following the itinerary completely). Thus, it is not a problem if you book this tour for 2 or 3 days as they can bring you to different temples on both days. Good explanation was given on the history and the structure of the temples. Pick up from bus station at 5am is possible with extra charge of USD14. We booked this tour for 2 days. Tour guide Mr Tel was very accomodating. He brought us to different temples, local village, market and sunset boat tour (Not following the itinerary completely). Thus, it is not a problem if you book this tour for 2 or 3 days as they can bring you to different temples on both days. Good explanation was given on the history and the structure of the temples. Pick up from bus station at 5am is possible with extra charge of USD14.